Your mind needs a workout. Just like any other muscle, your brain benefits from frequent use, and research shows keeping your brain active can help prevent memory loss, improve focus and increase overall cognitive function. Sure, working The New York Times crossword puzzle over a cup of coffee is one way to keep your brain active, but smart phone technology lets you mix it up while you’re on the go. Next time you’re waiting in line at the grocery store, try one of these free apps to keep your memory at peak performance. To start your workout regimen on this popular app, take the initial “fit test” to determine your strengths and potential weaknesses. You’ll be assigned a workout plan targeting specific cognitive skills like memory retention, attention to detail and more. The 50-plus games change every day, and users can rank their performance against other players. 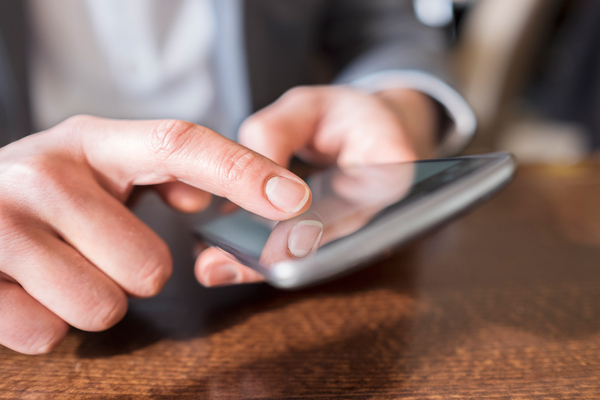 The app also tracks scores and provides feedback on personal progress. This app is designed to improve cognitive function in areas of processing speed, memory and focus as they relate to reading, speaking and writing. Elevate also requires a short initial quiz. Then, users are assigned an “Elevate Proficiency Quotient” that represents proficiency in each skill area. Daily training sessions include three personalized challenges, and a workout calendar helps track progress and maintain motivation. “Eidetic,” a term used to describe the ability to remember images from memory, is an aptly named app designed to improve memory function. This super-simple product offers three multilevel brainteasers that users must solve within a five-second time limit. Memorize the placement of the tiles, follow the tile tracks in order, or match pairs of tiles. Up to 98 levels to master! According to a popular study, positive thoughts have a positive effect on brain health. The study says people who have a greater tendency toward positive emotions are 60 percent less likely to experience “mild cognitive impairment.” In fact, findings show that positive wellbeing might be directly linked to healthier aging. The Happify app uses quizzes and activities to help users focus on the more positive aspects of life and reduce stress. Personalized “tracks” are designed to help conquer negative thoughts or defeat loneliness. A Happify daily post offers inspirational stories and words of encouragement, and a “serenity scene” gives a quick mental energy boost when you need it most. This simple grid-based logic puzzle remains one of the most popular ways to stay sharp. 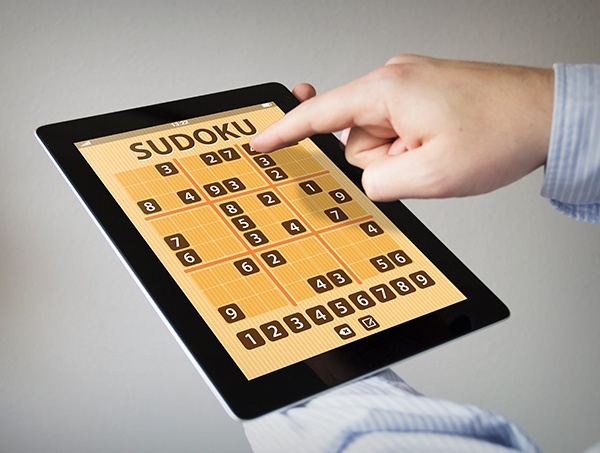 There is a huge collection of online apps featuring Sudoku in endless variations. The Branium version features easy-to-learn instructions with hints and explanation as well as customizable grid styles and colors. Travel the world while training your brain! Geography Brain Trainer quizzes users on the locations of the world’s countries. Users work through three difficulty levels, naming the countries and locating them within their geographic region. Take the “Conquer the World” challenge and win a trophy! Keep your memory sharp by giving it a once-daily mental math workout. These timed math drills ensure you stay on top of your arithmetic game by charting progress through increasingly difficult challenges.